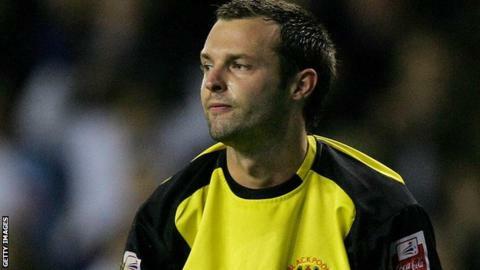 Leyton Orient have signed Leeds goalkeeper Paul Rachubka on a month-long loan deal as cover for the injured Marek Stech. Rachubka, 30, is an ex-England Under-20 shot-stopper who has played six games for Leeds this season and spent loan spells at Tranmere Rovers. He will remain with the O's until 6 April and is available for the League One game against Wycombe on Tuesday. The ex-Man United trainee will be the fifth O's goalkeeper used this term. Stech was brought in after Lee Butcher ruptured a cruciate ligament against Scunthorpe, but the West Ham custodian managed just two games before suffering an ankle injury. The O's had previously used Spurs duo Ben Alnwick, who suffered a groin injury, and David Button, who was recalled from his Brisbane Road loan spell after two games having suffered a shoulder injury. Orient have been without Jamie Jones, who made 42 appearances last season, since August after he suffered a laberal tear in his shoulder. Meanwhile, on-loan midfielder Soloman Taiwo has failed in his appeal to overturn a three-game suspension after being sent off for a two-footed tackle on Florent Cuvelier in Saturday's 1-1 draw with Walsall. The Cardiff player will miss Tuesday's game at Wycombe in addition to fixtures against Tranmere and Brentford.